It's nearly that time, hard to believe. If you're a member of the class, go to Brian Bergin's Enloe Class of 1986 site and get on the contact list and join the email exploder. There's a lot of fascinating information already starting to flow. 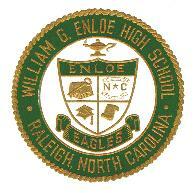 Also, post your life story on Charles Brabec's Wiki Site for the Enloe Class of 1986. And look at and post old photos at Chip Lanier's Enloe Class of 1986 Blog. I'll post any more links as I find them.